Buying land, building a house, and moving to a new area is exciting, but there are bound to be questions. Below you will find answers to some of our most frequently asked questions about living in Vintage Oaks, New Braunfels, and the Hill Country. Q: How are land loans different from home loans? A: Land loans will typically have a shorter term than home loans. Instead of a 30-year term like you would see for a mortgage, the loan could be as little as a few years. Down payments are also typically higher with a land loan, and are determined by examining the loan-to-value (LTV) ratio. This is calculated by dividing the amount of the loan by the property’s value or purchase price, whichever is lower. Q: Are loans for unimproved land the same as those for land that is ready to build on? A: It is generally much more difficult to get financing for unimproved land because the bank may view it as a speculative investment, according to Bankrate. Secured financing will also probably require a higher down payment and interest rate. Finished land like that found in master-planned communities is considered a better bet for lenders, and therefore more favorable terms are usually offered. Click below to view the full community map and discover the many benefits of choosing to build a home in a master-planned community like Vintage Oaks. Q: Am I limited to a fixed rate loan when buying land? A: Just like a home loan, land loans can be fixed rate or adjustable. Farm or agricultural financing may also be available depending on the land purchase. Q: Where do I find financing for a land purchase? A: If you are already working with a mortgage broker, he or she should be able to find you the most viable sources of financing for your property. Sales Associates in the communities you are interested in can do the same. If you are buying raw land, mortgage companies, lenders, commercial banks, and farm credit lending organizations are your best bets. At Vintage Oaks, our Land Experts can help you find the perfect lot to build your dream home, help you envision where your home will be best positioned on the lot and assist you with finding the best local lending options. Q: How do I know which lender to go with for my land loan? A: Any time large decisions—and large amounts of money—are involved, it’s important to get referrals from people you trust. You can narrow down your options further by making sure the lenders you are considering are knowledgeable about the industry and land loans in particular, and are familiar with the area in which you are looking and local land values. Q: How do I buy a Vintage Oaks property? Q: How many neighborhoods are in the community? A: There are several different neighborhoods with more planned in the future. Offerings include gated and non-gated neighborhoods, some with elevated view lots, those close to amenities, larger acreage and equestrian lots. Q: Is Vintage Oaks gated? A: Vintage Oaks is not gated, however, there are gated neighborhoods within the community. Champagne Hills and Canyon Ranch are the most recently developed gated neighborhoods within the community. Q: Can I have horses at Vintage Oaks? A: Yes, horses are allowed in one of Vintage Oaks' neighborhoods. Vineyard Ranch is a neighborhood of equestrian homesites within Vintage Oaks. Lots range from 5 to 14 acres. Q: Do residents often refer their friends and family members to Vintage Oaks? A: Vintage Oaks is filled with families, retirees, and military. As one of the most referred communities in central Texas, it is also filled with friends and family of residents who move to the community in order to enjoy the lifestyle. 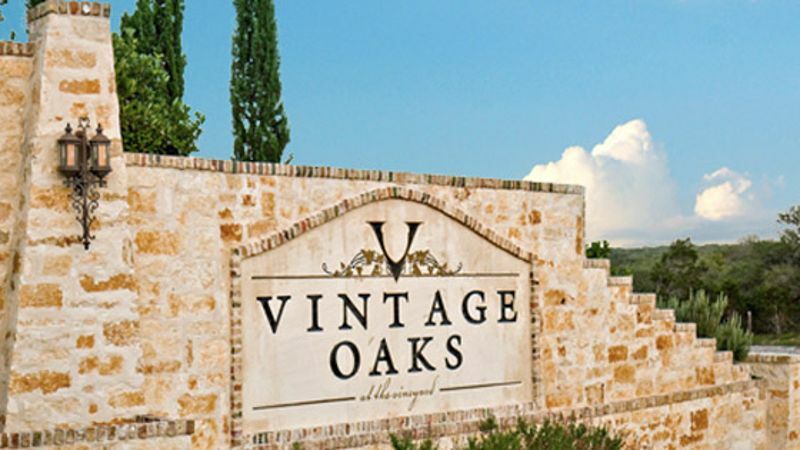 Click here to listen to testimonials from Vintage Oaks owners! Q: Is New Braunfels good for families? A: New Braunfels is a top place to raise a family, and places like Schiltterbahn Waterpark, Landa Park, Fischer Park, and the McKenna Children’s Museum are just a few reasons why. Q: How are the local schools? A: The Comal Independent School District (CISD) is rated a Recognized school district and all campuses in the district are fully accredited by the Texas Education Agency (TEA). Twelve schools are Exemplary and ten schools are Recognized. In addition, each year many CISD schools are recognized with Gold Performance Acknowledgement (GPA) Awards by the TEA for outstanding performance. Q: Is there a large military community at Vintage Oaks? A: Vintage Oaks is military friendly and is home to a number of military and retired military, as well as wounded military through an important partnership with Operation FINALLY HOME. Q: Are there amenities in the community? A: Vintage Oaks is known for its resort-style amenities. Within the community are pools, a lazy river, walking trails, numerous ball fields, and a community clubhouse with meeting rooms, a fitness center, and an outdoor catering kitchen. Q: Does it cost anything to use the amenities? A: The amenities are managed by the POA and their use and enjoyment is included in your fees. There are no daily use fees for residents or their guests. A: The Clubhouse is available for rent for private events of residents only. Your sales professional will be able to provide you with details. Q: Where is Vintage Oaks located? A: The community is located in the growing city of New Braunfels between Austin and San Antonio. Q: How close is Vintage Oaks to Austin and San Antonio?  A: Vintage Oaks is located between the two cities, just 45 minutes to Austin and 30 to San Antonio. Q: Where is Dry Comal Creek Winery in relation to Vintage Oaks? A: Dry Comal Creek Winery, known for its black Spanish wine, is directly across the street from the community on the Texas Wine Trail. Q: What is the Texas Wine Trail? 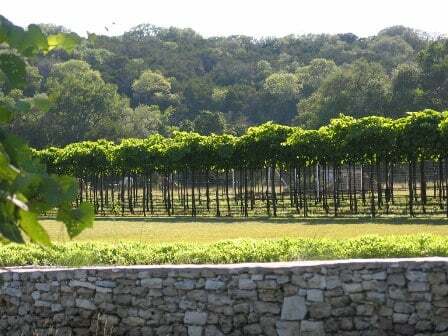 A: The Texas Wine Trail is a collection of 42 unique Texas wineries dotted throughout the Hill Country. Q: Is there really wine in Texas? A: The United States is the fourth-largest wine producing country in the world, and Texas wines represent one of its fastest-growing areas. Today’s Texas wines are not just appreciated locally but are also being recognized with national and international awards. Q: What are the advantages of building a house in the Hill Country? A: Between the convenient location, the growing real estate values, the continued job growth, and the abundance of things to do and see, the Hill Country is one of Texas’ most popular areas for building a house. Click below to download our free guide to Building a Home in the Texas Hill Country! Q: What is the zoning in the community? A: Vintage Oaks is a residential community. There are amenities on site, but no commercial development. Within a short distance from the community are numerous shops and restaurants. Q: Is there a minimum size requirement for building a home at Vintage Oaks? A: The minimum size home that can be built is 2,300 square feet. Q: Can I build any type of home I want? A: The community has architectural guidelines set up through the Covenants, Conditions, and Restrictions (CC&Rs) to protect home values. Your sales professional will be able to provide further guidance. Q: Do you have to build right away once you buy land? A: Unlike many other acreage communities, there is no requirement to build within a certain timeline at Vintage Oaks. Q: Can I use any builder I want? A: Buyers can choose any builder for their home. Vintage Oaks offers a complimentary service to property owners to help you find the right builder to build your dream home. Learn more about our Builder Match Program. Q: Are there community events for neighbors? A: Vintage Oaks organizes community events throughout the year. In addition, resident-planned for neighbors and different groups take place in the clubhouse all year round. Q: Are there employment opportunities nearby? A: New Braunfels offers numerous employment opportunities with major employers including the Comal Independent School District (CISD), Schlitterbahn Waterpark, and Walmart Distribution Center. The city’s location between Austin and San Antonio also puts it within easy reach of both of these dynamic employment centers. Q: How about dining, shopping, and entertainment? A: New Braunfels is a hotspot for each. Dining Shopping ranges from the historic main plaza in Downtown New Braunfels to the Premium Outlets that have been voted among the “Best places to shop” by the Austin Business Journal just up the street. Restaurants reflect an international flavor and boast some of the best in Texas eats. Entertainment is largely focused on the Hill Country’s thriving music scene. Are you a music afficianado? 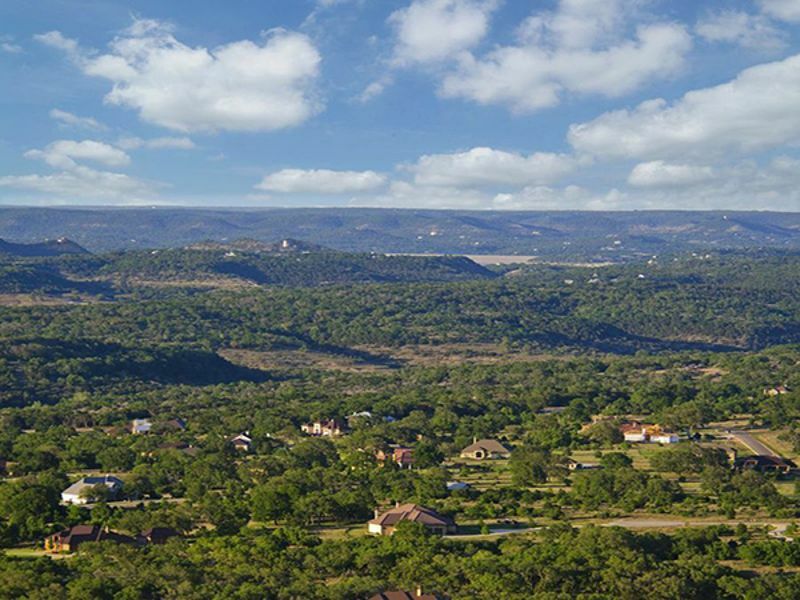 Do you want to live in the heart of the Hill Country music scene? Download our free guide now to discover everything you need to know about visiting and living in the heart of the Hill Country music scene! Q: Is tubing the main recreational opportunity in the area? A: Vintage Oaks and New Braunfels are filled with opportunities for recreation, from walking on the community trails to hiking and biking throughout the city. Q: What is a good road trip from San Antonio, TX to see foliage? A: The Hill Country is a great place to see Texas wildflowers. Bluebonnets as well as greenthreads, Indian blankets, Texas paintbrush, and winecups are all on display, typically starting in April. Q: What are some historical facts about New Braunfels? A: New Braunfels was established by Germany’s Prince Carl of Solms-Braunfels, Commissioner General of the Adelsverein. 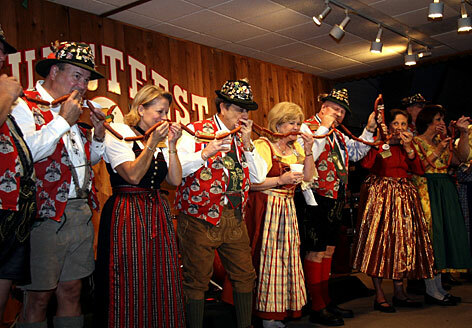 Settled by Germans and named for the city of Braunfels in Germany, it still reflects its German heritage in many of its restaurants and its famed annual Wurstfest celebration. You can see more here. Q: What are some interesting facts about New Braunfels? A: New Braunfels was established in 1845, and by 1850 was the fourth largest city in Texas, behind Galveston, San Antonio, and Houston. The town of Gruene, located within the city limits of New Braunfels and also known as the Gruene Historical District, suffered under the cotton crop disaster of the Boll Weevils. Gruene Hall, the famed dance hall, was the one business that never closed. Today it is one of many landmarks in the town and a favorite spot for live music and dancing. 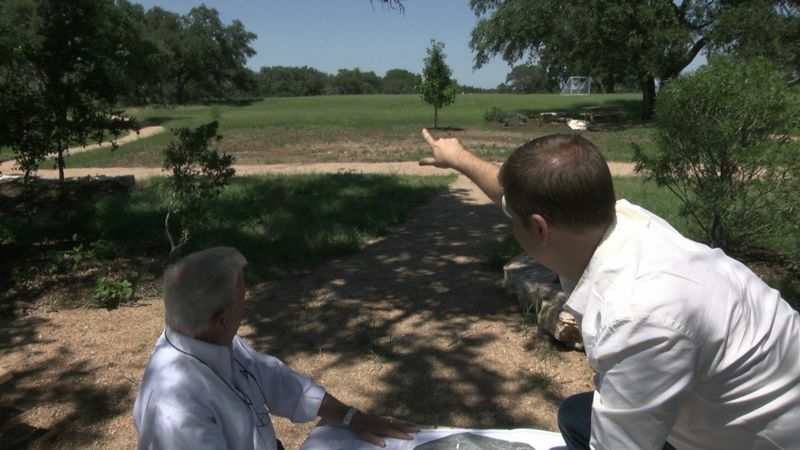 Q: What are the important land features of the Texas Hill Country? A: The topography of the Texas Hill Country is surprising for those who are seeing it for the first time and remains just as magical when you’ve seen it everyday for years. Despite the notion that Texas is flat, the Hill Country is defined by its Tuscan-like landscape, with rolling hills and towering live oaks, as well as several sparkling bodies of water. Q: How fast is Vintage Oaks growing? A: Vintage Oaks has had record sales for several fiscal quarters in a row and has been the fastest-growing community in the Hill Country for the past two years! Q: How does Vintage Oaks give back to the community? 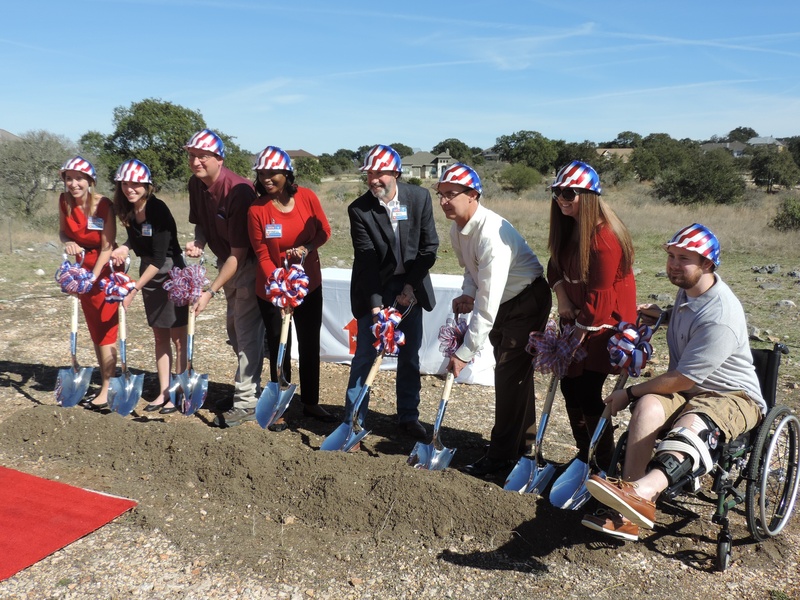 A: Vintage Oaks and developer SouthStar Communities have donated four 1-acre lots for mortgage-free homes for wounded veterans through their partnership with non-profit Operation FINALLY HOME. All told, SouthStar has donated 11 lots nationally to the cause. SouthStar also recently donated a parcel of land in Vintage Oaks to the county to build a fire station. Q: Does Vintage Oaks’ developer have a history of success? A: SouthStar has more than 15 years of success acquiring, investing in, and managing healthy residential communities across the US, including renowned communities throughout Texas, North Carolina, Georgia and Florida. Q: Does SouthStar Communities have other communities in Texas? A: Additional SouthStar communities in Texas include The Crossings as well as Havenwood at Hunters Crossing in New Braunfels off of Hwy 1102, Lake Ridge in Cedar Hill, Mission del Lago in San Antonio and King Oaks in Bryan-College Station. A: Vintage Oaks has a Property Owners Association. The POA establishes certain deeds and covenants to ensure some consistency of architecture and presentation in communities, which can protect property values. Q: Why is a POA important? A: A POA serve a vital need in communities by helping to establish and maintain important standards. In areas without POAs, residents and land or homeowners can suffer from lowered or non-existent standards that can harm property values.